Healthy Connections, Inc., welcomes Stephanie Matthews, LCSW, to our Mount Ida location. 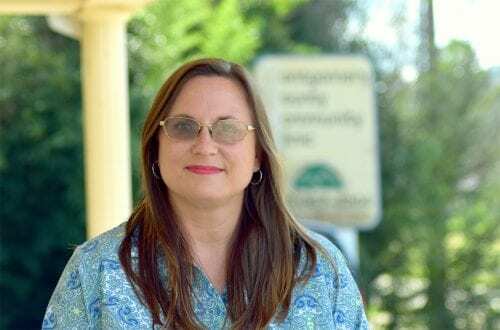 As a Licensed Clinical Social Worker (LCSW), Matthews is part of Healthy Connections’ expanded Behavioral Health Services. She provides emotional support, mental health evaluations, therapy, and case management services to people experiencing psychological, emotional, medical, social and/or familial challenges. Matthews earned her Master’s Degree in Social Work from the University of Texas at Arlington. She sees patients at Healthy Connections Mount Ida (Montgomery County Community Clinic) at 534 Luzerne St., from 8 a.m. to 6 p.m. on Mondays. Matthews has experience working with individuals suffering from anxiety, mood disorders, post-traumatic stress disorder, and childhood abuse. She’s also well-versed in family counseling. She is person-centered and tries to start where the patient is to help them achieve their goals. Patients may take advantage of the behavioral health services without changing their primary care physician to the clinic. To schedule an appointment, contact the Mount Ida clinic at 870-867-4254. To learn more about Healthy Connections’ Behavioral Health program, please visit www.healthy-connections.org/bh. Healthy Connections, Inc., was founded in 1998 as a home visiting program and now operates nine clinics throughout Southwest Arkansas. Depending on location, services include primary and preventative medical care, general dentistry, pediatrics, behavioral health, physical therapy, and cardiology.